After a frost, it can take a few days to accurately determine how many plants survived, and whether the stand is still uniform. Be patient before making any decisions. Seeding is the priority for many growers this week, but fields that still have lots of big winter annual weeds should get a pre-seed burnoff with a high rate of glyphosate before seeding. 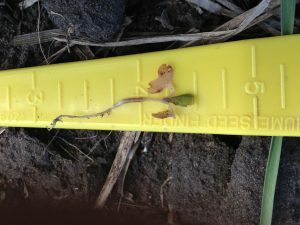 In dry soil conditions, growers may be tempted to seed deep enough to reach moisture. This is not necessary from April to mid-May. The common recommendation to seed no deeper than 1” still applies in dry conditions. Seedlings can be at significant risk from wind damage. Wind can dry out the seed bed. And high winds can blow seeds and seedlings right out of the ground, especially if topsoil is dry. 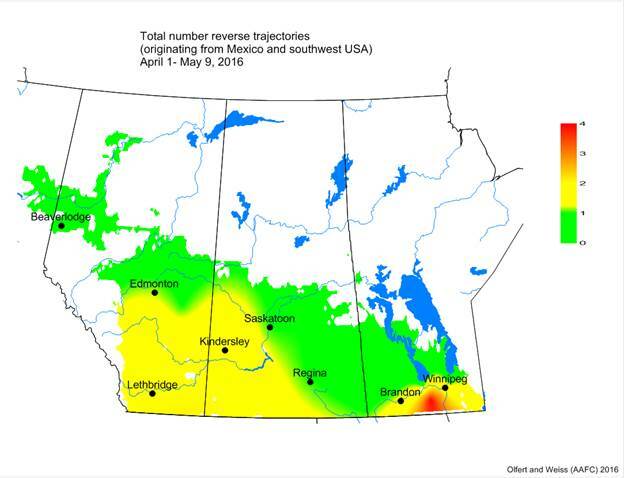 Wind trajectory maps from Agriculture and Agri-Food Canada (AAFC) indicate that winds have arrived from southern areas where diamondback moths and aster leafhoppers overwinter. 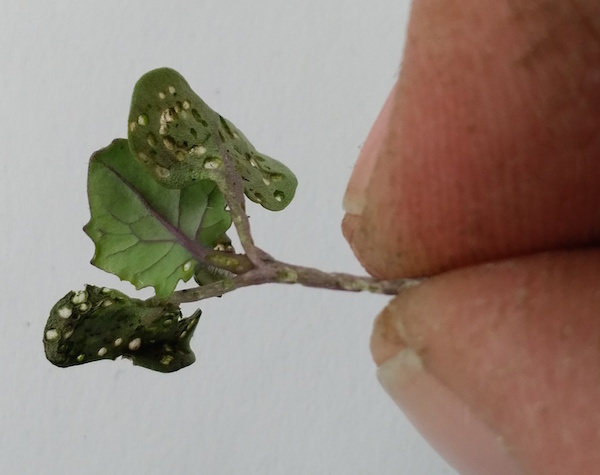 FLEA BEETLES: WHEN TO SPRAY? Flea beetles are feeding on volunteer and early-seeded canola but their presence does not mean they need to be sprayed. We have two canolaPALOOZA locations for 2016. Joy Agnew from Prairie Agricultural Machinery Institute (PAMI) in Humboldt is looking for Saskatchewan farmers with canola in storage that will remain in storage until at least August. Crop yield has a lot to do with weather — rainfall, temperature, frost and hail are the biggies. 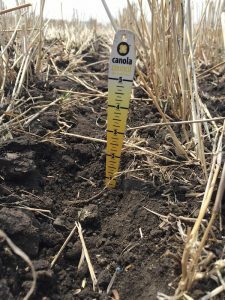 Agronomic steps to reduce weather related risk can go a long way to help canola achieve higher yields under stress. 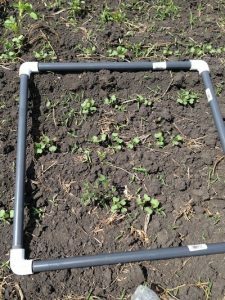 Canola Watch has a podcast. Subscribe through iTunes, Android and Stitcher.